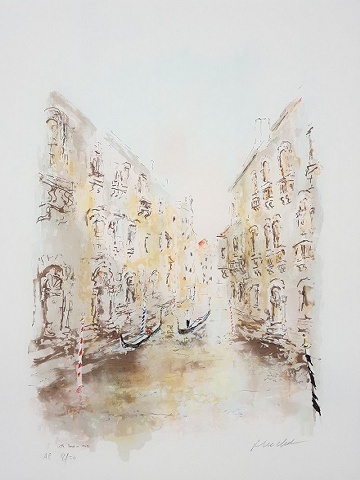 Title: "Little Canal in Venice"
Sheet Size: 22.5" x 30"
Title: "Sunday in the Isle de France"
Sheet Size: 30" X 22.5"
Born In Rennes on April 28, 1930. After studying law and owning a textile factory for four years, de decided in 1960 to devote himself entirely to painting. 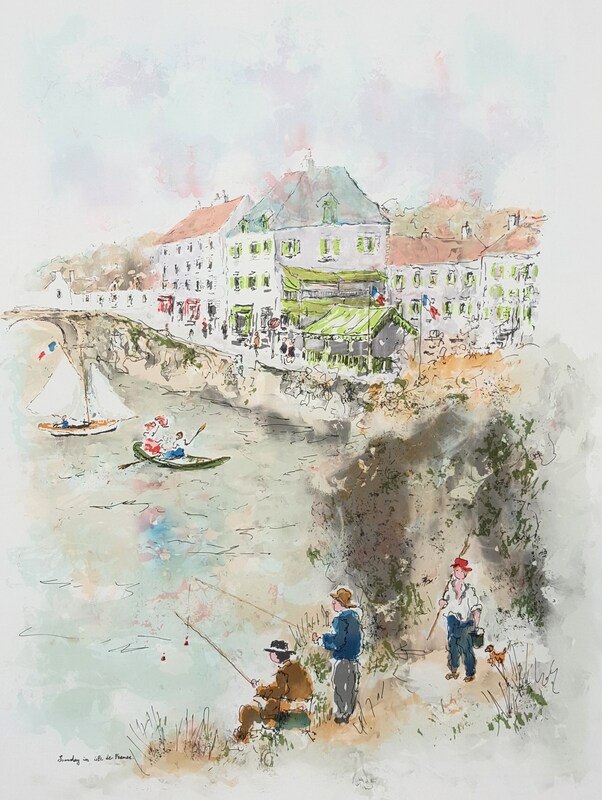 He does many paintings of landscapes and the typical people of his region. 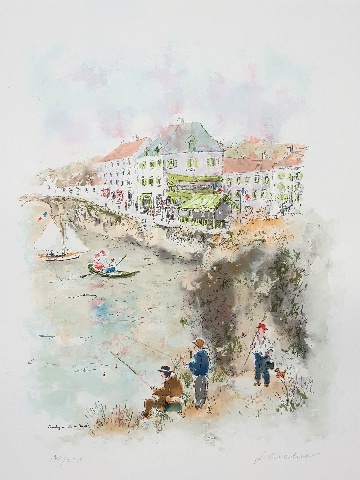 His love of the Brittany coast and the sea can always be seen in his work. fter moving to Paris in 1963, his love of adventure and travel led him to spend more time painting and writing in Europe, the Middle East, and South America, where he produced many paintings of the Indian Markets and the great scenery. He made 14 trips of more than 4 months each, from Mexico to Brazil via Peru, Central America and the Caribbean Islands. In Addition to the paintings he has written a book about these beautiful countries. A luxurious portfolio of paintings of Egypt shows his love of that country. Urbain Huchet has held exhibitions in New York, london and New Orleans, and Several in Egypt, however, Paris is where his largest number of works have been produced. 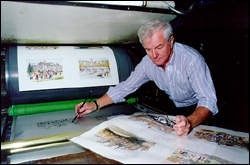 At least 300 editions of lithographs have been printed of his works, all produced by the artist himself in different workshops in Paris and Cannes. Huchet died in 2014.